Over the years, several customers have ask us to design & build heated tables. The applications for these tables have ranged from preheating plastic parts to heating valuable art work & paintings for restoration. Pictured at the left are the basic components used in our latest 2-zone system. 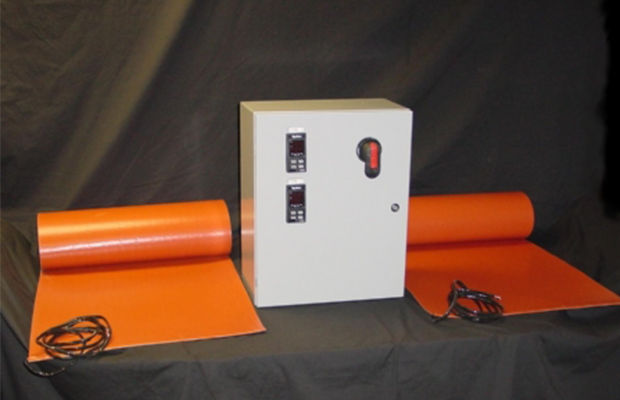 Silicone rubber heating blankets are used for a smooth, consistant heat source and the custom control system is designed for high accuracy temperature & power control. For additional details, call toll free, 800-733-3298 or click on our Help Desk tab.